White House national security adviser John Bolton arrived today in Israel on the first leg of an overseas trip, and met Israeli Prime Minister Benjamin Netanyahu, with Iran the focus of talks. Good seeing PM Netanyahu last night – thank you for the hospitality @IsraeliPM. Looking forward to productive conversations over the next few days. Bolton was meeting Netanyahu at a working dinner at the Israeli leader’s residence in Jerusalem. The two are set for further discussions tomorrow. 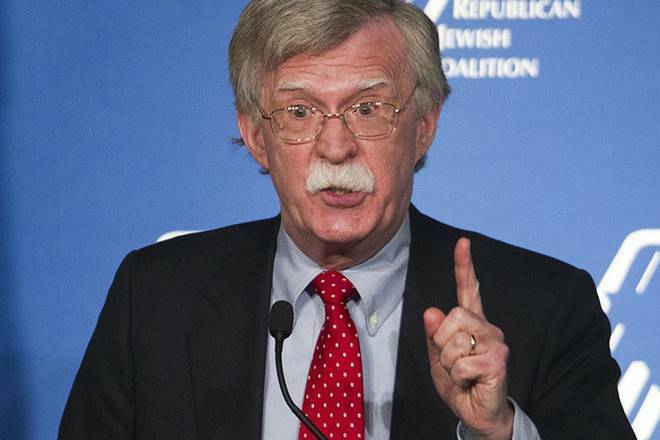 Bolton said they have got great challenges for Israel, for the United States, for the whole world – the Iran nuclear weapons programme and ballistic missile programmes are right at the top of the list. In his welcoming remarks, Netanyahu said the two would discuss how to continue to roll back Iran’s aggression in the region and to make sure that they never have a nuclear weapon.